On August 1, 2017 the first ever hard fork of the Bitcoin blockchain occurred. The new cryptocurrency created from that fork is called Bitcoin Cash (BCH). Its existence has been hotly debated since its creation, with passionate people on both sides of the debate making compelling arguments about it. For somebody who’s new to cryptocurrencies and investing in them, knowing whose opinions to value over others was, and still is, no easy task. Plenty of animosity remains between the Bitcoin and Bitcoin Cash communities to this day. All things considered, it doesn’t seem likely that there will be a change in sentiment anytime soon. This article, however, isn’t intended to tell you who is right and who is wrong. Instead, the goal is to provide objective information, as well as to present some of the compelling arguments made both for and against Bitcoin Cash. By the time you finish reading, hopefully you will be able to look beyond the politics in order to form your own opinions about this controversial cryptocurrency. Whether you love it, hate it, or wind up neutral isn’t important. The goal is to understand why it was created, why it has such fierce support, why it has so many detractors and, ultimately, whether or not it should be included in your personal investment portfolio. The obvious place to start in order to understand Bitcoin Cash is, of course, with Bitcoin. After all, the two currencies shared the same blockchain up until the date of the hard fork in August 2017. If you don’t feel confident in your understanding of Bitcoin yet, you should first read What is Bitcoin? Everything You Need to Know About Bitcoin, Explained, and then come back here. The story of Bitcoin Cash begins with the start of the scaling debate. That is, the debate over how to most effectively increase Bitcoin’s ability to process transactions cheaply and quickly. At the core of the scaling debate is blockchain block size. Each block on the Bitcoin blockchain is capped in size at 1MB – a limit set somewhat arbitrarily by Satoshi Nakamoto in 2010. That allows for a transaction throughput of less than 4 transactions per second on average. Prevent DOS (denial of service) attacks: Bitcoin transactions used to be ridiculously cheap. As a result, it was once possible for somebody to affordably overwhelm the Bitcoin network with thousands of tiny spam transactions that the network was unable to keep up with, such that legitimate transactions also couldn’t be processed. Ensure adequate block propagation speed through the distributed network: When a new block is mined, it must be downloaded quickly by the other miners so that they can begin mining the next block on top of it. The larger the blocks, the greater internet capacity is needed for the network of miners to stay in sync. Limit overall blockchain size: The entire blockchain must be stored by every full node in the network. The smaller the blocks, the easier it is for people to store the whole blockchain in order to mine. On the other hand, 1MB blocks have a very significant disadvantage as well. When there are more transactions occurring than the network has the capacity to process, fees go up and the memepool of unconfirmed transactions grows. In the 2017 bull run, the negative scenario above became reality. As a result, Bitcoin had higher average transaction fees and longer confirmation times than your typical bank wire transfer, essentially rendering it useless as a currency for most users and merchants. There’s no question that inadequate transaction throughput is a problem that must be solved in order for Bitcoin to retain its status as the top cryptocurrency. However, the best way to solve that problem is less obvious. On-chain: Increase the block size to increase transaction throughput. Off-chain: Employ second-layer solutions (e.g. Lightning Network) to process transactions and reduce the burden on the blockchain. Each type of solution has pros and cons. How you feel about Bitcoin and Bitcoin Cash should ultimately depend on your analysis of those pros and cons. As it became increasingly apparent that 1MB blocks weren’t going to support Bitcoin transaction volume for much longer, supporters of on-chain scaling chose to develop a protocol that would increase the block size to 8MB. After a vote was passed to lock in the activation of Segregated Witness (SegWit), these on-chain scaling supporters made the decision to go through with the first ever hard fork of Bitcoin. Bitcoin Cash was created on August 1, 2017 after the 478558th block. With 8x bigger blocks, Bitcoin Cash has 8x the transaction throughput of Bitcoin. As a result, fees and transaction times for Bitcoin Cash closely resemble those of Bitcoin in its earlier years. Importantly, Bitcoin Cash kept the same proof-of-work algorithm as Bitcoin. This means that miners have the ability to easily switch between mining either blockchain. Following the hard fork, many miners would choose to mine whichever chain was more profitable at the given time, resulting in very inconsistent hash rates for both currencies. A few months later, in November 2017, Bitcoin Cash began using a new difficulty adjustment algorithm (DAA) to better manage the mining difficulty and the volatile hashpower situation stabilized. If we dive deep into the politics, it would be possible to write a short book just on the history of Bitcoin Cash. Before touching on any of that though, it’s best to understand where people on both sides of the argument are coming from. Let’s begin with those who are against Bitcoin Cash. The main criticism that you’re likely to hear about Bitcoin Cash is that it is more centralized than Bitcoin. There are a few reasons people make this claim. First is that the 8MB block size raises the threshold of the hardware needed to mine Bitcoin Cash, resulting in just a few miners having the majority of the hashpower. 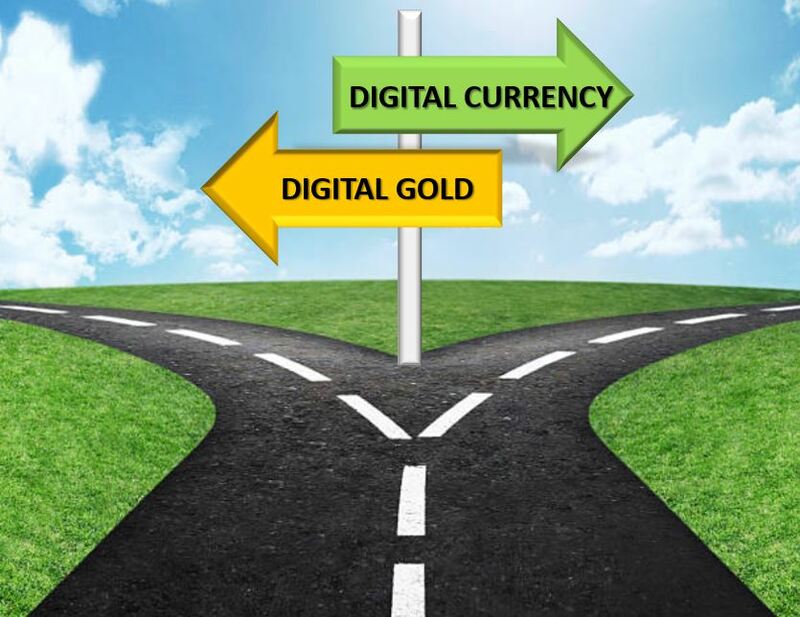 Fortunately, there are websites like coin.dance that provide helpful statistics about Bitcoin and Bitcoin Cash, enabling us to easily compare the decentralization of the two currencies side by side. From this comparison, there are two points of interest. First is that Bitcoin mining is actually more top heavy recently than Bitcoin Cash. 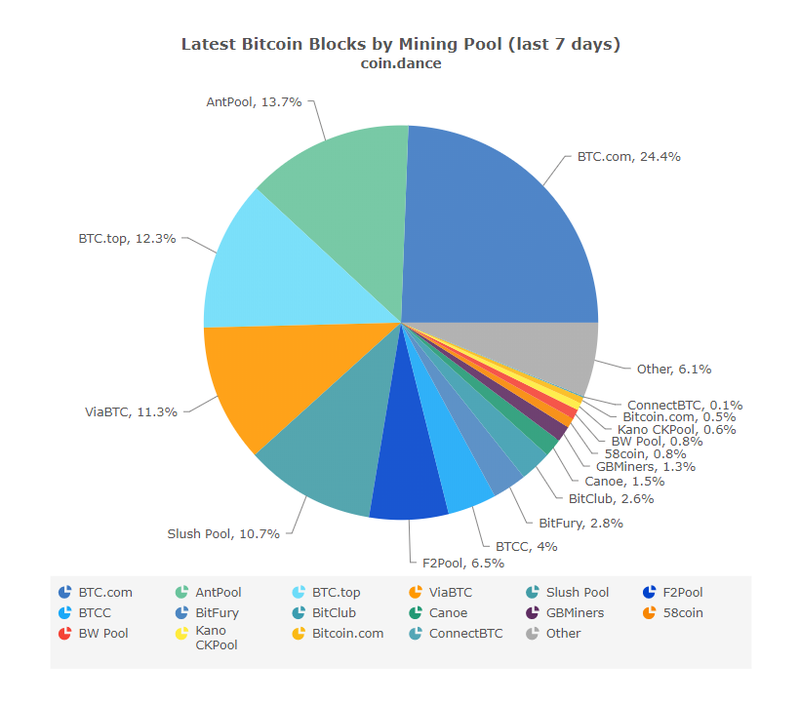 The top 3 mining pools for Bitcoin control over 50% of the total BTC hashpower, while the top 3 for Bitcoin Cash control just over 45% of the total BCH hashpower. 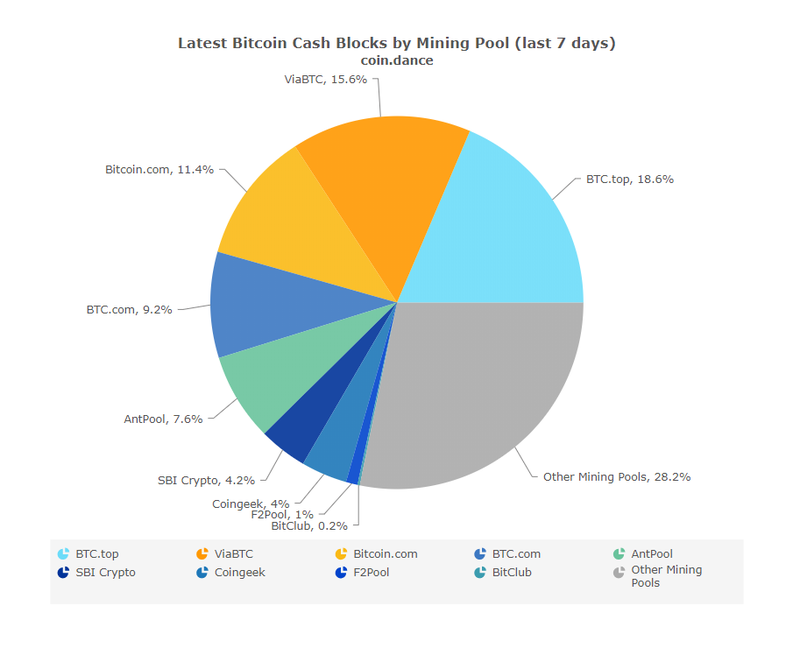 Second is that there are a lot more small-scale mining pools for Bitcoin than Bitcoin Cash. That may be because mining Bitcoin Cash isn’t as profitable or worthwhile for small-scale miners, as Bitcoin Cash detractors suggest to be the case. On the other hand, it could be that there is just much less data available about the ‘Other Mining Pools’ for Bitcoin Cash and the number of small-scale participants is actually more similar than these pie charts suggest. An additional part of the ‘Bitcoin Cash is more centralized’ argument is based on a longer-term outlook. As touched on earlier, a downside to on-chain scaling is that the overall size of the blockchain will grow faster with bigger blocks, requiring more hardware storage capacity for miners in the somewhat distant future. For the time being, total blockchain size has zero impact. 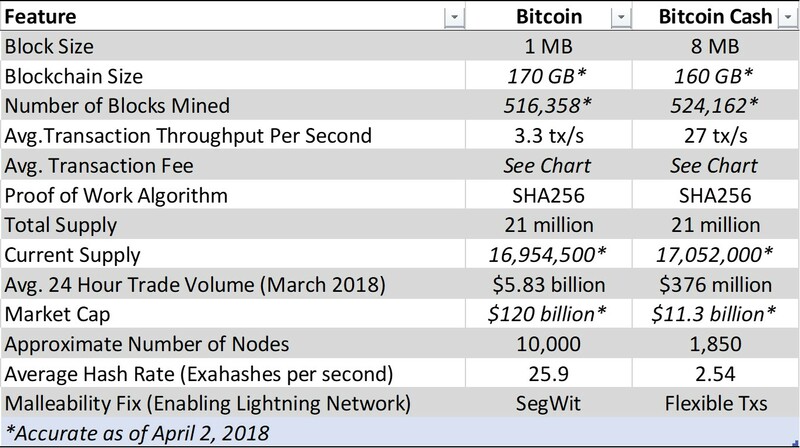 Bitcoin’s blockchain is just about 170GB large, while Bitcoin Cash’s blockchain is approximately 160GB large. For reference, affordable laptops these days typically have between 0.5 to 2TB of storage capacity. But with Moore’s Law projected to reach its physical limits in the 2020s, it’s not realistic to expect technological advancement to outpace the growth of these blockchains forever. It’s a real concern for some people that a blockchain with much bigger blocks might grow so large that it becomes infeasible for everybody to store the full blockchain and mine, leading to centralization. Obviously, we are still a very long time away from that, but it’s something to consider nonetheless. There is one major argument in favor of Bitcoin Cash that is critical to understand. That argument is that Bitcoin is meant to be a currency first and foremost, not merely a store of value. With the high fees and slow transaction processing speeds of Bitcoin during its 2017 surge, merchants had little reason to transact in the currency. And in fact, many merchants that used to accept Bitcoin stopped doing so in 2017. Those who supported keeping blocks small prioritized making Bitcoin a decentralized store of value over it being widely useful as medium of exchange. 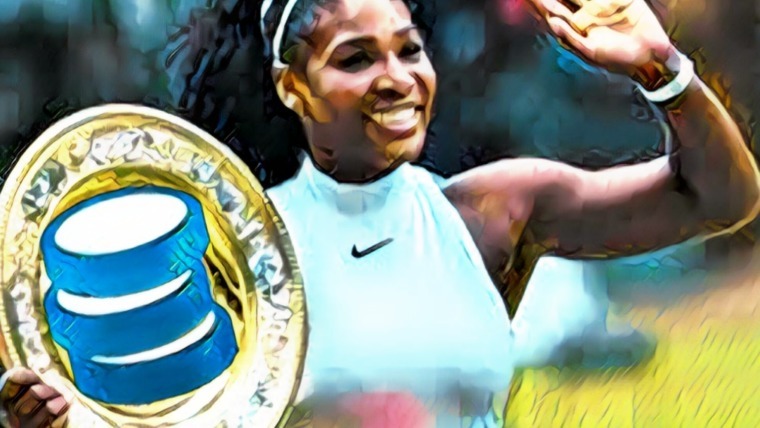 The outspoken proponents of Bitcoin Cash – most notably Roger Ver, Gavin Andersen, Craig Wright, and Jihan Wu – believe that Bitcoin is supposed to be more than just digital gold. They anticipate that Bitcoin Cash’s utility as a currency will help it achieve far more significant adoption among merchants and consumers, ultimately fostering greater decentralization in the process. Another piece of the block size debate is wondering how Satoshi Nakamoto intended Bitcoin to scale when it achieved higher levels of adoption. Bitcoin Cash supporters claim that Satoshi always intended the block size to increase, and they have some past communications from Bitcoin’s creator that support that claim. There isn’t much need to interpret Satoshi’s vision for scaling from those messages. He quite clearly did not expect the 1MB block size limit to be a permanent feature, nor did he foresee changing the block size being such a politically charged debate. Whether you like the guy or not, Roger Ver made some fair points when he called attention to what Satoshi has said, as he did in the tweet below. Ultimately, Satoshi Nakamoto isn’t infallible. It’s entirely possible that his vision for scaling Bitcoin isn’t the ideal roadmap to actually take. That being said, it’s hard to dispute the Bitcoin Cash supporters who claim that Bitcoin Cash is ‘the real Bitcoin’ according to Satoshi’s vision. The better debate is whether Satoshi’s vision is actually the best path to follow. As briefly mentioned earlier, there are two categories of scaling solutions: on-chain and off-chain. Bitcoin Cash has on-chain scaling, while Bitcoin is being scaled through an off-chain solution called the Lightning Network. For a quick explanation of the Lightning Network in (mostly) layman’s terms, read How the Lightning Network Can Resolve Bitcoin’s Scaling Issues. Generally speaking, Bitcoin Cash supporters do not believe that the Lightning Network is a good solution. With off-chain scaling, they fear that Bitcoin will lose a significant amount of decentralization and censorship resistance. To understand the trade-offs the Lightning Network makes and why they are potential dealbreakers, you can read Bitcoin’s Lightning Network WIll Likely Fail Due to Several Possible Reasons. However effective Lightning Network may become in the future, any cryptocurrency enthusiast can appreciate it from a technological perspective. Politics and social factors aside, the versatility of programmable money is one of the reasons so many people are attracted to the blockchain rabbit hole. Before moving on, one other point worth mentioning is the potential for better off-chain scaling solutions than the Lightning Network. One such example is Bolt – a version of the Lightning Network that is essentially the same but with the added feature that transactions can be completely anonymous. Anonymity is especially significant for off-chain scaling because it better preserves the censorship resistance quality of on-chain transactions. The graphic below summarizes some of the key similarities and differences between Bitcoin and Bitcoin Cash, with some extra information beneath it. Note that with the activation of SegWit, the Bitcoin block size is no longer restricted to 1MB. For that matter, the block limit isn’t based on the number of bytes at all, but rather a different parameter known as Block Weight. You can read an in-depth explanation of it in Understanding SegWit Block Size, but the gist of it is that blocks with SegWit transactions can theoretically be up to 2MB in size now. You’ll also notice that the Bitcoin blockchain is larger than that of Bitcoin Cash, while there are more blocks (and therefore a larger circulating supply) for Bitcoin Cash. This is partially a result of the volatile mining difficulty for Bitcoin Cash when it first went live using the Emergency Difficulty Adjustment (EDA) algorithm. Difficulty stabilized when Bitcoin Cash employed a new Difficulty Adjustment Algorithm (DAA) on November 13, 2017. The other reason for the discrepancy between the number of blocks and total blockchain size is that Bitcoin still has much higher transaction volume than Bitcoin Cash, meaning that each Bitcoin block contains more data. In an episode of the Unchained Podcast with Laura Shina, CEO of Shapeshift and longtime Bitcoin supporter Eric Voorhees explained how problematic Bitcoin’s increasing fees and transaction wait times were for merchants. Voorhees makes an important point, which is that businesses that used Bitcoin for commerce lost a lot of money in 2017 because of the scalability issues. It’s relatively easy for somebody who only holds or occasionally uses Bitcoin to patiently wait and see what effect SegWit and the Lightning Network will have on transaction capacity. But for merchants, the issue was far more urgent because it was directly impacting their bottom line. Not surprisingly, many merchants have since begun accepting Bitcoin Cash. In fact, BitPay also recently added Bitcoin Cash support, significantly bolstering potential use of BCH in the real world. Additionally, a growing number of exchanges are introducing Bitcoin Cash trading pairs, a factor that should lead to higher transaction volume in the future. 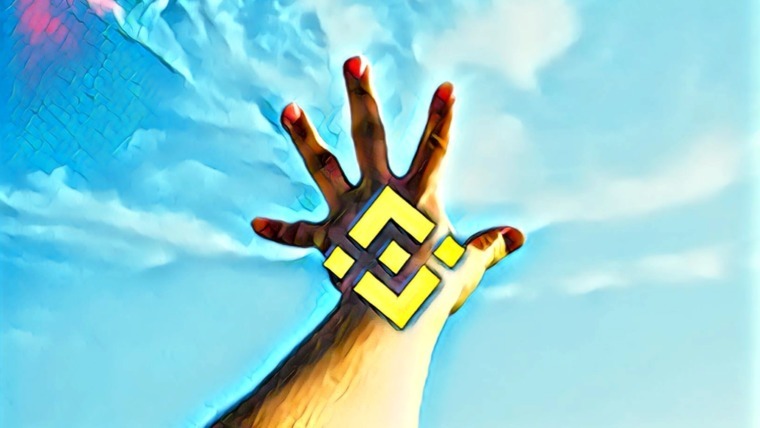 However, the major correction in the cryptocurrency markets has also allowed time to empty the Bitcoin memepool and bring fees back down, making it usable as a currency once again. 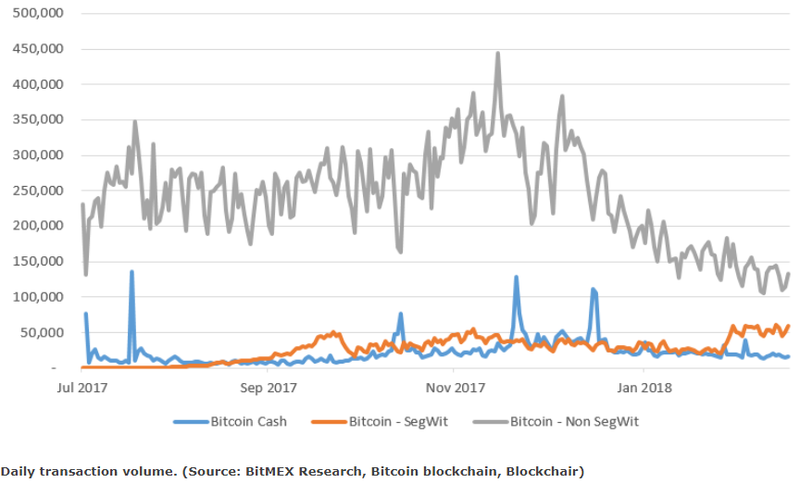 Meanwhile, SegWit adoption has been gradually increasing, as documented in a recent study by BitMEX. The study revealed that about 30% of Bitcoin transactions use SegWit now, and that number should continue to gradually grow in the coming months. With total transaction volume dropping steeply, it’s still too early to know what the long-term effectiveness of SegWit will be. During the months following the hard fork, the majority of mainstream profiles on crypto-Twitter advised people to sell their BCH and either keep the profits as cash or reinvest it into Bitcoin. Most of those people were ideologically against bigger blocks and preferred Bitcoin to be optimized as a store of value. Unfortunately, that advice was quite often emotional rather than rational, as just about everybody seemed to be politically invested in the outcome of the fork. And when emotional sellers meet technical buyers – as was the case for Bitcoin Cash in October and early November 2017 – the trend is likely to pivot from negative to positive. Around that same time, a lot of traders who weren’t emotionally involved in the politics began to favor Bitcoin Cash, like in the example below. From a pure investment standpoint, the story of Bitcoin Cash in late 2017 was a perfect lesson in why you should always do your own research. Those who did their due diligence to understand the dynamics of hashpower switching between BTC and BCH were able to 2x, 3x, or even 4x their holdings. All of this isn’t to say that you should invest in Bitcoin Cash now. But if you are somebody who read time and time again that Bitcoin Cash was a scam, hopefully getting exposure to fresh perspectives will enable you to make your own decisions from a more informed place. It’s true that many people dislike and distrust guys like Roger Ver and Jihan Wu – who are the faces of BCH – but the coin itself isn’t a scam and doesn’t appear to be going away anytime soon. Whether you want to own some Bitcoin Cash as a hedge for your Bitcoin holdings or because you support on-chain scaling, buying and storing BCH is straightforward. As one of the biggest cryptocurrencies in the market, just about every exchange out there will support BCH. Information about wallets is readily available on bitcoincash.org. The two most popular hardware wallets, Ledger and Trezor, both support Bitcoin Cash. There are also well over a dozen software wallets that you can use to store BCH. A free BCH wallet is also available at Bitcoin.com, the popular website owned by Roger Ver. 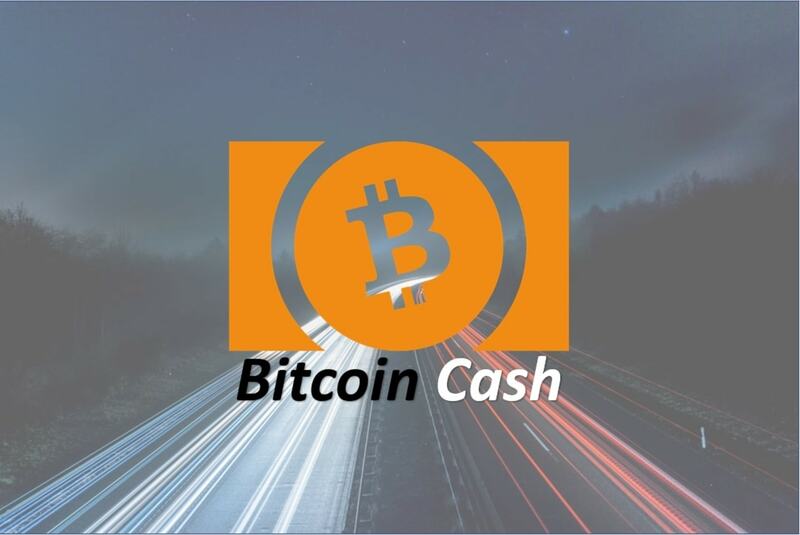 There is a lot of controversy surrounding the site and wallet, stemming from concerns that people who are just learning about Bitcoin will be confused by the prominence of Bitcoin Cash on the site. At the end of the day, the vast majority of us are not online merchants and we don’t frequently use cryptocurrencies in retail transactions (yet). 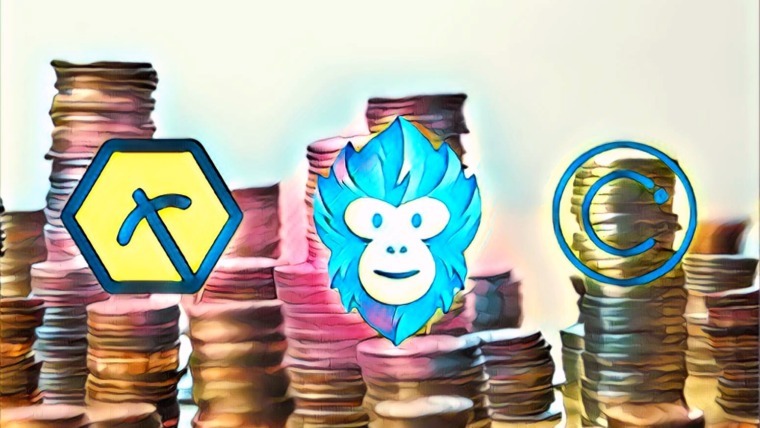 Instead, we mostly speculate on the future value of various coins and tokens. The question, then, is whether or not there’s reason to speculate that Bitcoin Cash will become more valuable in the future. If you understand cryptocurrencies well and have strong convictions about which side of the scalability debate has more merit, it makes sense to invest more heavily into whichever coin you believe is superior between Bitcoin and Bitcoin Cash. To the contrary, if your primary goal as an investor is to optimize your risk to reward ratio, it’s more rational to own some amount of each and ensure that you’ll profit if either coin achieves mass adoption. Related: To the Moon! 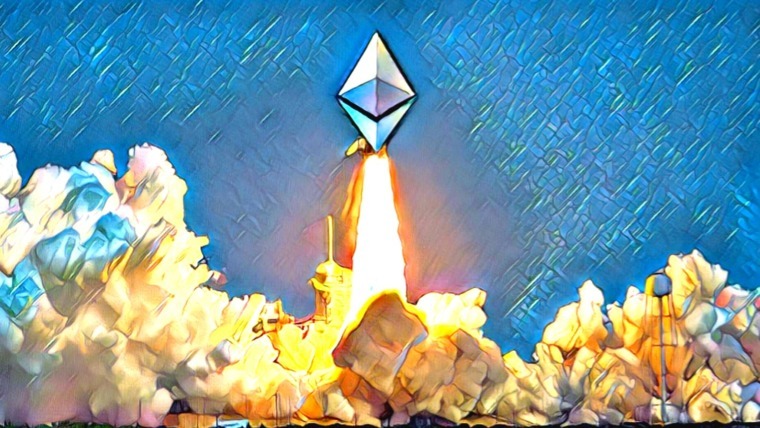 What’s the Difference Between Bitcoin and Ethereum? I think the 7 day mining pool data can change a lot, and sometimes the reverse scenario will occur where bch appears more centralized. Otherwise I like that this article presents both sides clearly without getting too political. A good read for anybody who has bought the propaganda by core that bch is a scam.